In 1985, future Club chairman Eddie Thompson held a managerial position at Dundee-based Watson & Philip, the company who at the time owned the VG chain of convenience stores, and he was instrumental in negotiating United's first ever shirt sponsorship deal in the lead up to the 1985 Scottish Cup Final. 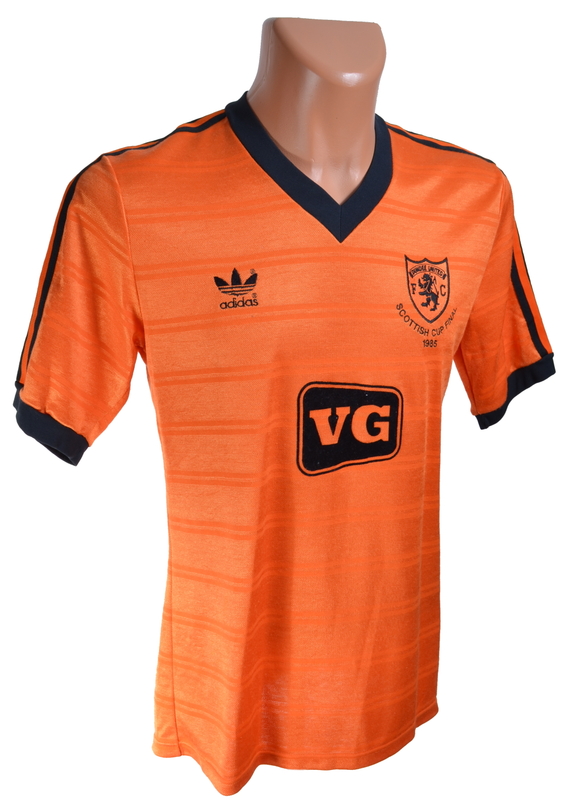 The two year deal began with the VG logo emblazoned on the 1984/85 home kit for the big match in Glasgow in May 1985. This was the 100th Scottish Cup Final, as United faced Celtic at Hampden Park, where Stuart Beedie gave United the lead 10 minutes into the second half. However, two late goals for Celtic saw United leave empty handed for the third time.